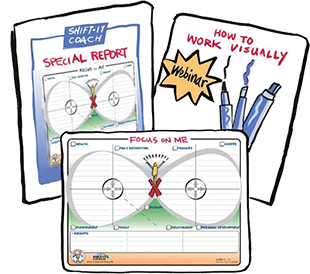 I usually send a little reminder out this time of year, about The SHIFT-IT Visual Coaching System®. As some folks like to gift it to colleagues, friends,and family … or nab it as a gift for yourself. For 15 years, as a pioneering Visual Coach, and now with the able camaraderie of our tribe of Certified Visual Coaches, we’ve coached 1000s of individuals across the globe to shift their professional and personal lives for the better. We’ve helped ALL SORTS of people, in ALL SORTS of circumstances, benefit deeply from this special Personal Planning System with its suite of Visual Tools. It’s perfect for those poignant times in life when you, or someone you care about, needs to really LOOK at where you currently stand, get clarity on where you next want to be, and how to go about getting there. 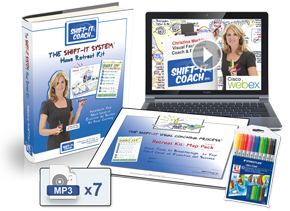 The SHIFT-IT Visual Coaching System helps you and yours ‘get under the hood’ and figure out who you are evolving into now. 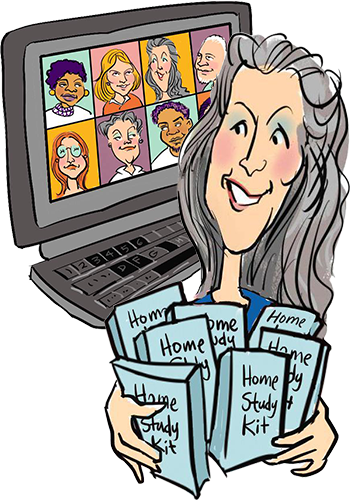 There are 3 handy ways that you can experience this innovative system: in-person, at home, and via a live online course. 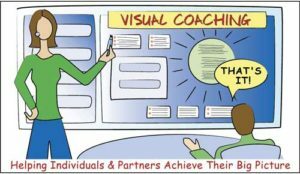 All of our Certified Visual Coaches are licensed in the SHIFT-IT Visual Coaching System. 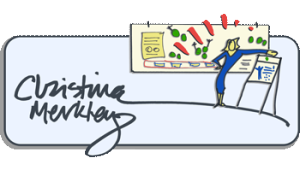 So working directly in-person with a local trained Visual Coach is a great way to go (many also work virtually online). Wishing you and yours a great holiday season! P.S. For a full roster of products, services and 2018 classes click here.